Susan Sherwin-White, who died in 2016, enjoyed two careers, the first as an academic ancient (Hellenistic) historian with many publications, including (with A. Kuhrt) From Samarkand to Sardis: A New Approach to the Seleucid Empire (London: Duckworth, 1993). She then trained as a child and adolescent psychotherapist at the Tavistock Clinic from the mid-1980s. She was until her recent retirement from the NHS a Consultant Child and Adolescent Psychotherapist and Child Psychotherapy Lead at Hammersmith and Fulham CAMHS in the West London NHS Mental Health Trust. She was at various times Chair of the Association of Child Psychotherapists and its Chair of Ethics. She taught on Freud for many years at the Tavistock Clinic for the Observational Studies course. She published a number of clinical papers on child and adolescent issues. 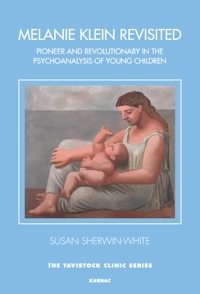 Most recently she co-edited with Debbie Hindle, Sibling Matters: A Psychoanalytic, Developmental and Systemic Approach (Tavistock Clinic Series, Karnac, 2014) to which she contributed chapters on Freud and Klein.